Northern flicker; state bird of Alabama. Photo by Jerry McFarland/Flickr (Noncommercial Use Permitted with Attribution). The yellowhammer has been a symbol of Alabama since the Civil War ("The Yellowhammer State" is one of Alabama's nicknames). Northern flickers (Colaptes auratus) range throughout the USA (red- shafted in the west and yellow-shafted flickers in the east, with interbreeding between these two color variations in between). 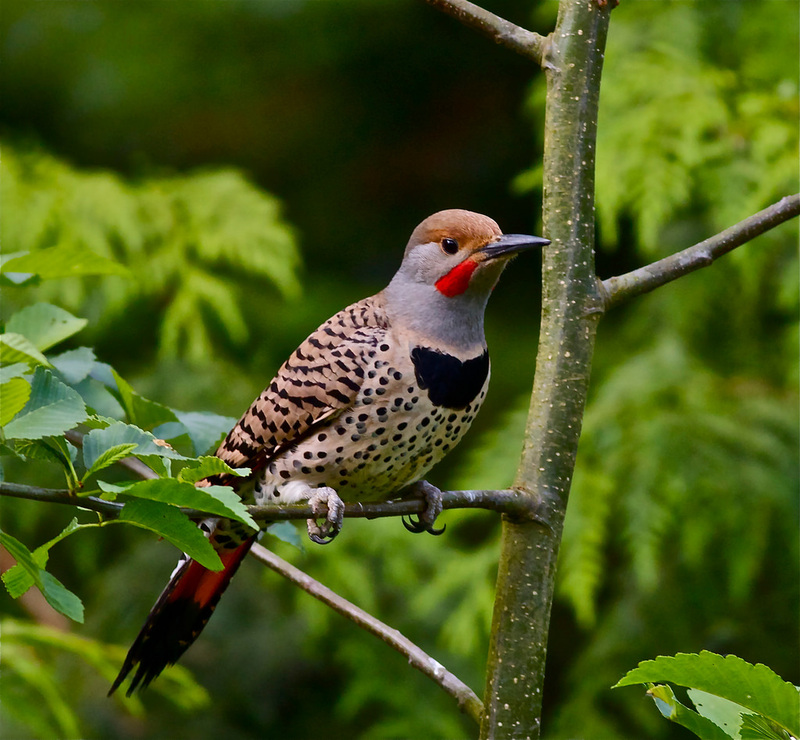 The northern flicker is a common species present year-round in Alabama, but bird surveys show that flickers are declining in numbers (particularly the eastern yellow-shafted flicker). Possible reasons: use of pesticides on lawns and other feeding areas, and diminishing eastern forests. Unlike most woodpeckers, northern flickers forage primarily on the ground, eating ants, termites, caterpillars, grasshoppers (and other insects), spiders, seeds, nuts, and berries (including the berry of the poison ivy plant). The yellowhammer does not have the super- hammering ability of most woodpeckers and seeks out rotten or hollow trees, fence posts, and occasionally earthen banks or nest boxes for nesting.